The great detective is on the case! 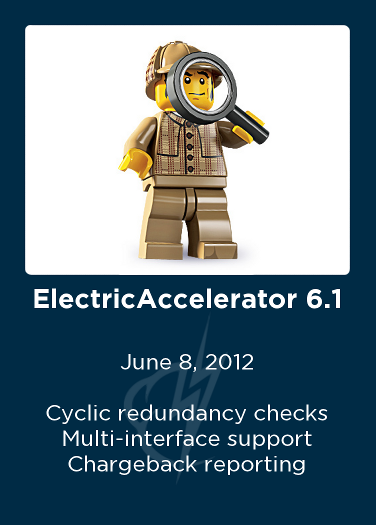 I picked the detective minifig for the 6.1 release in recognition of the significant improvements to Accelerator’s diagnostic capabilities (like cyclic redundancy checks to detect faulty networks, and MD5 checksums to detect faulty disks). Compared to the 6.0 award not much has changed in the design, although I did get my hands on the “official” corporate font this time. 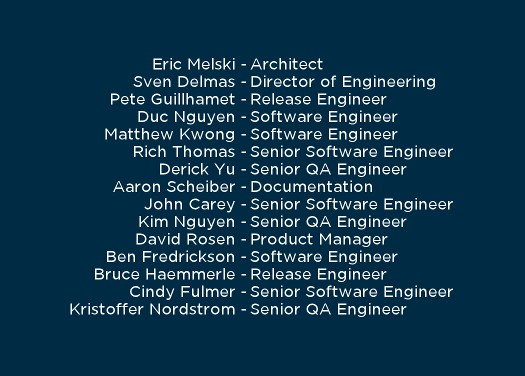 It strikes me that there’s a lot of wasted space on the back of the card though. Next time I’ll make better use of the space by incorporating statistics about the release. I actually have the design all ready to go, but you’ll have to wait until after the release to see it. Don’t fret though, the 6.2 release is expected soon!